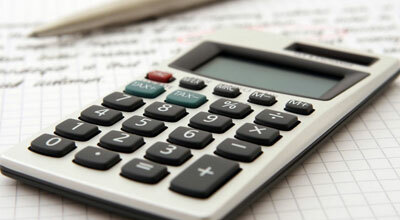 Many people ask, how do I improve my FICO score and what is a FICO score anyway? Two very important questions for those looking to buy a home or who are at least curious about bettering their credit. Improving your FICO score — otherwise known as a credit score — takes time and effort, just like anything else in this world. In this post, we will explain a little about FICO scores, tips for improving it, and useful tools to help you keep track of your credit score. The FICO score is a credit score. It includes a combination of all the information found in your credit report. That includes information from the 3 major reporting bureaus. Check Your Credit Reports: Fixing errors in your credit report can give you the most immediate score boost. Pay Your Bills on Time: This one has a High Impact and should be taken seriously. Build Up Credit History: To create a good credit history, you’ll need to have open lines of credit that you use and pay off responsibly each month. Pay off any Old Debts: If you owe money to the debt collectors, you better believe anyone you try to get a loan from will know about that debt. Take care of these items. What tools can help you track your FICO Score? This information used to be a whole lot harder to get a hold of, but times have changed and the internet has opened the door to so many awesome tools. 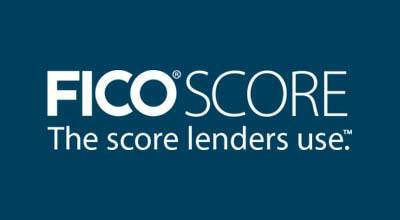 Many banks and credit cards now offer FICO scores as a Dashboard option within your online account. They run the score every quarter on most bank sites, but this could vary. There is also the universal way of getting your yearly scores, and that is by obtaining a free copy of your credit report from each of the three main credit reporting agencies — Equifax, TransUnion, and Experian — at www.annualcreditreport.com. Then there are the online sites like Credit Karma which give you free access to your credit scores, reports and monitoring. Once you know where you stand, they help you figure out your next move. Maybe you need to dispute an error on your credit report. They could help with that. Maybe you’re paying too much in interest. They could help with that too. As you can see there are many new options available to monitor your FICO score so that the credit score improvement process can begin. Now that you know a little more than you did 5 minutes ago, what are you going to do with your newly acquired knowledge? Are you going to use this knowledge to better your odds of getting approved for a credit card? Are you thinking of buying a new car and you need to improve some things first? Maybe you are ready to buy that first home, and you are trying to make sure it’s feasible. Whatever the case, we hope this information was helpful and ask that you reach out to us with any questions. If you think you are ready for home ownership, contact Teresa Parker, Loan Officer at Cunningham & Company Mortgage Bankers, NMLS # 2024 at (919) 697-2598 or [email protected]. She can help you decide if it makes financial sense, and how to get started. Cunningham Mortgage & Real Estate Experts are partners. We help you find the home of your dreams and help you navigate through the home buying process and Cunningham Mortgage expertly helps you through the complicated lending process. To see Real Estate Experts’ newest listings, click here, and feel free to give us a call anytime at 919-813-6449 or send us an email to [email protected]. You may also want to read the following related posts: Home Loan Preapproval vs. Home Loan Prequalification, Renting vs Buying – Which Is Better For You?, or Which Home Loans Are The Best? Which Home Loans Are The Best? Choosing the right home loan can be challenging as there are multiple options to choose from. Most home loans are either 15 year or 30 year terms, but those are not your only options. Now before you go looking for the lowest rate on your purchase mortgage or refinance, you’ll need to decide on (or at least narrow down) a mortgage term that is right for you. By “mortgage term,” I mean the duration of your mortgage. Why does that matter? Well, your mortgage payments and the amount of interest you pay will be determined, in large part, by the term of your mortgage. In this post, we will show you your options and the pros and cons of each term length. The 30-year mortgage is one of the most popular options when it comes to borrowing money to buy a home. I think the most appealing part of a 30-year mortgage is the fact that you can get a lower monthly payment and therefore afford more house than you could with a shorter-term loan. At the same time, not all 30-year mortgages are fixed for 30-years. That’s right, there are a ton of mortgages based on a 30-year payoff schedule that can adjust monthly or annually. While the payment amount should be affordable, it shouldn’t be the only determining factor of a purchase. What most people fail to realize is that choosing a 15-year mortgage term over a 30-year mortgage term results in a long-term monetary savings benefit that can easily run in the tens of thousands of dollars. What other Home Loans are available? The most common home loan terms are 30 and 15 year loans, but those aren’t your only options. There are plenty of other options, including 10 year, 20 year, 25 year, 40 year, and even five-year terms. Yes, you could pay your mortgage off in just 10 years or stretch it out to 40 years if you need a little more time. Just make sure you look in to all your options before jumping into your next home loan. One thing to remember is that most people only hold onto their mortgages for about seven years. This is a result of either selling the home and moving on, or refinancing the existing mortgage to take advantage of lower mortgage rates, or to get cash out. What we are trying to say is that you should really think about your personal situation. Is this purchase going to be your last for the next 30 years, or does your life demand movement and therefore change? The longer the term, the lower the mortgage payment, but the more interest you’ll pay and the longer it will take to build home equity. Take your time, make the right choices, and make sure you can live with those choices, because getting in too deep isn’t hard to do. No matter what kind of loan gets you into a home, do your homework beforehand and make sure there are no details about the mortgage loan you don’t understand. If you think home ownership is for you, contact Teresa Parker, Loan Officer at Cunningham & Company Mortgage Bankers, NMLS # 2024 at (919) 697-2598 or [email protected]. She can help you decide if it makes financial sense, and how to get started. 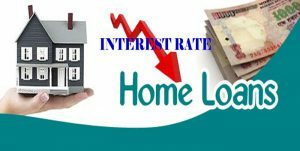 You may also want to read the following related posts: Home Loan Preapproval vs. Home Loan Prequalification, Renting vs Buying – Which Is Better For You?, or Does a 0.5% Rise in Interest Rates Equal a 5% Rise in Price? Does a 0.5% Rise in Interest Rates Equal a 5% Rise in Price? Sinc e the election, interest rates are rising and they will have a direct effect on the cost of housing. 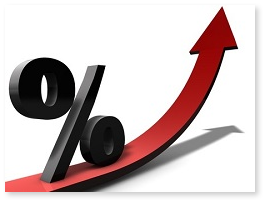 There is a rule of thumb that a ½% change in an interest rate is approximately equal to a 5% change in price. As the interest rates go up, it will cost you more to live in the very same home, or to keep the payment the same, you’ll have to buy a lower priced home. Before rates rise too much, this may be the best time to buy a home whether you’re going to use it for your principal residence or a rental property. Low interest rates and lower prices make housing more affordable. Many home buyers understand that rising home prices can affect their ability to buy. Many people, however, don’t realize that rising interest rates have an even greater impact. For the last few years, interest rates have been at historic lows. As illustrated above, as interest rates rise, your buying power decreases. In this case, to keep your mortgage payment the same, a buyer would need to either put down more money, bring in a co-borrower for help, or look at a different form of financing than a conventional loan, such as an adjustable rate mortgage or an 80/10/10 piggy back loan. 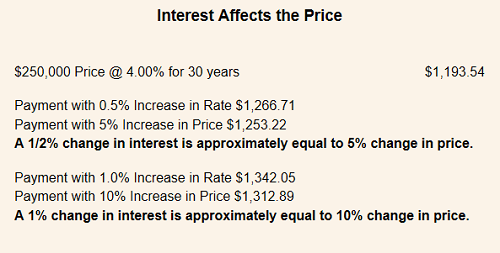 If interest rates rise a full 1%, the typical buyer would need to spend $35,000 less on their home purchase. This is significant! In many places, home values are rising too so this amounts to a double whammy for home buyers. Our recommendation at Real Estate Experts is to watch mortgage rates very closely. If you are looking to buy, let one of our top realtors help you find the home of your dreams. One of the first conversations we typically have with buyers is advising them to get a home loan preapproval or home loan prequalification letter. 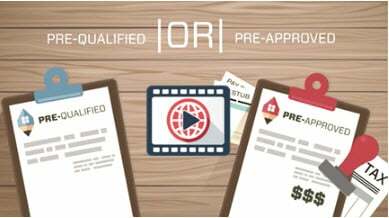 One of the key questions is what is the difference between getting a pre-qualification letter and a pre-approval letter. First, you want to get prequalified or preapproved with a trusted home lender. What’s the difference between these two things? Plenty…and by understanding the difference up front you may avoid major problems down the road. Cunningham Mortgage has created a great video that explains the difference very well. You can get “Prequalified” for a home loan based on information you provide verbally to your Loan Officer. Sometimes, the lender will obtain a credit report. If you are “prequalified,” the lender will give you a document that states an approximate dollar amount you might expect to borrow. The next step in the lending process is to apply for a home loan preapproval, where you will provide the lender with credit detail and other documents that verify your income and assets. 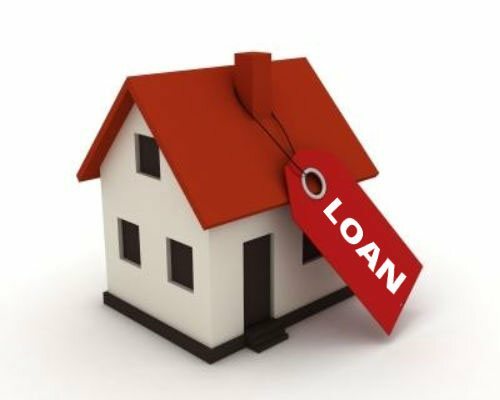 When you are preapproved, the lender has committed to an exact dollar amount they are willing to loan to you. To a home seller, an offer presented from a preapproved buyer is much stronger than from one who is prequalified. It is advantageous to complete one or both of these steps – pre-qualification and pre-approval – before you start to look for a home. That way, is that know how much you can borrow and you won’t waste time on homes that outside of your budget. See a related article on rehab loans. And, don’t forget. You can count on your expert loan officer to help you through the process. This information has been provided to Real Estate Experts by one of our lender partners, Teresa Parker, with Cunningham Mortgage. Teresa’s contact information is below. To search homes for sale in Chapel Hill, Carrboro, Durham, Cary, Apex, Morrisville and the Raleigh area, visit Real Estate Experts. What Is A Buyer Ready Loan Program and Should You Do This? Searching for a new home is an exciting yet sometimes lengthy endeavor…and when you finally find the home of your dreams, the last thing you’ll want to deal with are unexpected delays or complications with your loan. That’s why Real Estate Experts has partnered with Cunningham & Company Mortgage Bankers, who offer a unique “Buyer Ready Loan Program” to help you avoid many unnecessary headaches related to your loan. “Our Buyer Ready Program will allow you to start the loan process while you’re shopping for a house,” says Theresa Parker, a preferred lender with Cunningham & Company. “You can actually get full credit approval before you’ve even found the house of your dreams. We will fully credit underwrite you and have you ready, so that when you find your perfect home, your loan is ready as well.” Not to be confused with simply being “prequalified” for a loan, Buyer Ready approval means you will receive mortgage credit approval as you search for your new home. Additionally, it ensures full loan approval within the Due Diligence period and protects your Due Diligence fee and Earnest Money deposit. Working with you, Cunningham & Company will determine a realistic loan request through Buyer Ready, which will typically lean towards a larger amount to allow some flexibility during your search. “If a client is looking at a home with a sale price of $275,000, I will suggest we bump that up and look at getting approved at a $300,000 sale price, so that if she or he finds the home of their dreams that happens to be $285,000, then we’re still ready to go,” says Theresa. Ready to apply? Contact Broker Jodi Bakst or Paul Barrett to begin the search for your dream home and start your loan process while you are house hunting: 919.928.5131, [email protected], or [email protected] Visit them online at www.realestateexperts.net.